Cat Cave is an endless runner. 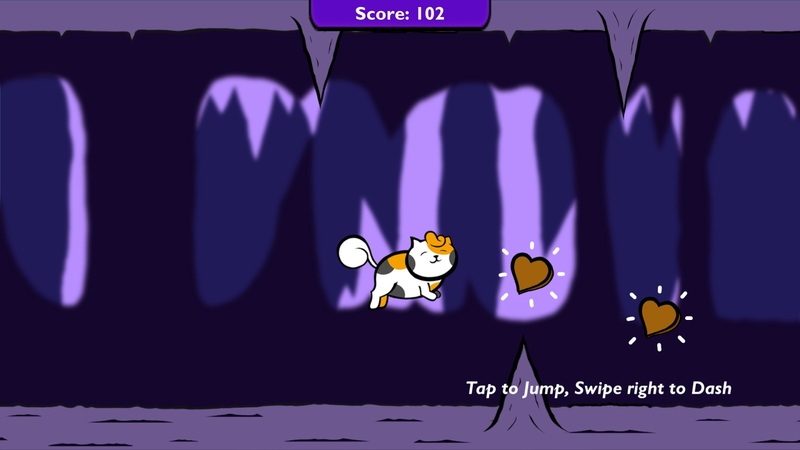 Play as a princess cat trying to survive the treacherous cave by dodging obstacles and battling giant Batworms. Great sprites and animations, love the style. Had fun playing this even though I wasn't very good at it haha. Only problem I had was the high scores button wasn't doing anything? Great game though.